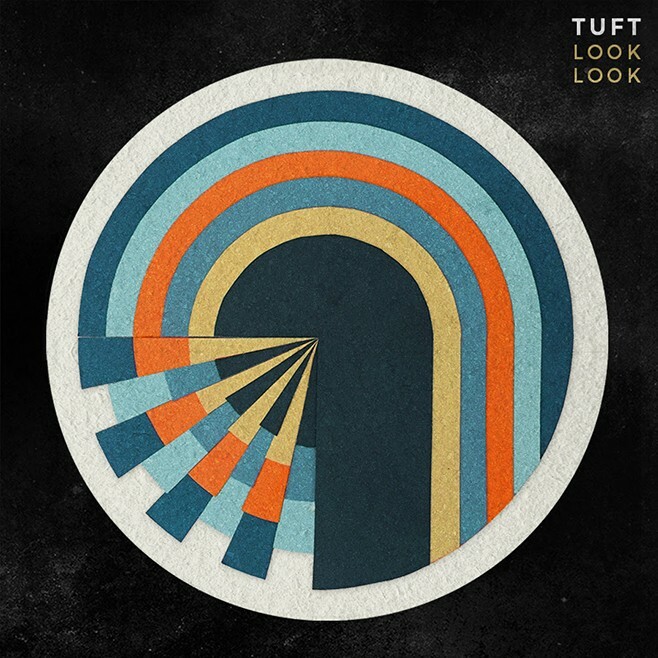 True to their literal name, TUFT is a collection of guitars, surfing percussion and melodic vocals. The L.A. based band, formerly called, Hi Ho Silver Oh, will release its first album, Look Look, on April 8th, and if you want to give your cerebellum a pleasant tickle, you can pre-order it through the band’s Twitter. The ten tracks of Look Look are surprising in range and in their ability to never quite leave the core meaning of the band: a fun yet somber reckoning of life and love. Does TUFT offer here something we haven’t heard before? Not quite. But they’re talented practitioners of the adult-indie rock genre that will get your head a’nodding. This is clear from the first single “Constant,” an interesting song, but one without a driving hook and with a clear debt to Arcade Fire. A definite highlight is the 6th track, “Spools.” It starts slow, but like any good ride down a slide, picks up fast. It could easily be a melodic summer festival jam. It’s a rare instance when the female vocalist and bassist, Roxy Radulescu, really shines. There’s a live version here. The title track is the most intriguing one off the album, with catchy electronic choruses and overlapping rhythms similar to the pounding intensity of its name, “Look Look”. Flighty string instruments leap through this sonic mindstorm with the pounding, occasionally discordant noise of an artist who embraces urban life. Björk circa “Army of Me” would be proud. Lyrics get intriguing and angrier with “No Wonders” and “Lanyards.” “VCVC” is a misplaced country song with angry guitars thrown in and the occasional throat singing. The album closes with “Nothing,” a somber ballad that finally features lead guitarist and singer Casey Trela’s aching voice. There’s not much new going on with Look Look, but it’s still all very good.